Wylene Benson says she is “A Warrior Who Wins”. What does that mean? 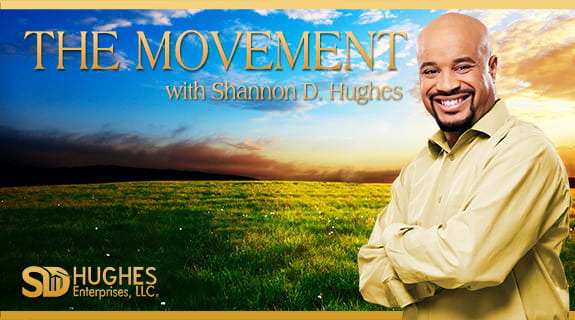 On the next episode of The Movement with Shannon D. Hughes, Wylene talks about experiencing fulfillment and success in life and business, while being a Christian family-oriented business professional, finding gratitude and accountability in all situations, her work as a Master Breakthrough coach, and how she helps others navigate thru their greatest challenge to help pave the way to discovering their greatest strengths. Wylene Benson is a 2-time Amazon best selling author and is currently writing her fourth book. She served for two years as the facilitator of a life skills course within the jail system inspiring countless people to life-altering change. Wylene is a Master Breakthrough Coach and extremely gifted in hearing the message behind the words to get to the root of the problem. Wylene has experienced extreme transformation in her own life in the areas of health, wealth and connection and she now empowers Christian business professionals to find and magnify the passion within their own heart’s desire to create authentic wealth and fulfillment while deepening their connection with God and family.